PORTLAND, Ore., June 6, 2018 /PRNewswire/ -- Look out for dads who are scheduled to receive ties and mugs this month. 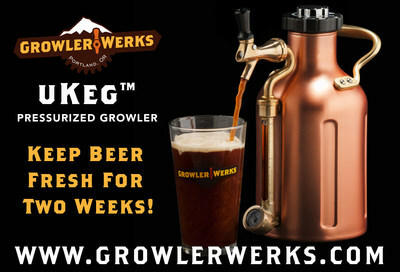 A uKeg, GrowlerWerks' pressurized growler that keeps draft beer fresh and carbonated for two weeks or more, is a Father's Day gift dad will want his fans to put a bow on — and fill with beer. 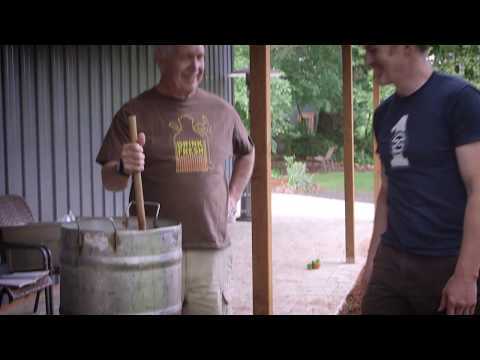 GrowlerWerks founder Brian Sonnichsen and his dad, Steve Sonnichsen, share their father-son connection creating a new brew. "I would say that my love of craft beer started by watching my father homebrew when I was a kid," says Brian Sonnichsen, one of the founders of GrowlerWerks. "Eventually, he gave me his equipment and I started brewing myself. That passion grew into me being one of the founders of GrowlerWerks." The nation is brewing craft beer that's too good to pour down the drain and isn't always available in bottles. But drain-pour happens when beer goes flat in a glass growler. That can make dad sad. To fix the problem, three craft beer-lovers with an engineering problem designed the uKeg, a pressurized growler that keeps favorite draft beer cold, fresh and carbonated for two weeks. An easy-to-use regulator cap, equipped with a low-cost, food-grade CO2 cartridge, partners with a vacuum-insulated, stainless-steel vessel to make the uKeg's benefits possible. Its sturdy design allows the uKeg to go wherever you go and drink carbonated beverages at any location for every occasion. It also fits in the refrigerator and is attractive enough to be seated at the dining room table. Help your readers elevate their Father's Day barbecues, dinners and camping trips, making dads smile and giving them new memories.